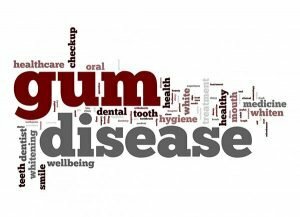 Gum Disease, Can It Be “Cured”? The oral health problem patients experience most, surprisingly enough, isn’t cavities or teeth grinding; in fact, it doesn’t directly affect your teeth at all! Gum disease (also known as periodontal disease) is actually the most commonly experienced dental disease, affecting up to 80% of the population. Gum disease can easily go unnoticed due to its initial, mild symptoms. Unfortunately, patients with cases that have progressed to more advanced levels often experience devastating oral damage, up to and including tooth loss. This is why it is critical to catch gum disease early and treat it effectively and aggressively. At Warner Lakes Dental our team are committed to helping patients better understand the facts behind their dental issues and what they can do to ensure their smiles stay happy and healthy for years. Our mouths are full of bacteria. These bacteria, along with mucus and other particles, constantly form a sticky, colorless “plaque” on teeth. Brushing and flossing help get rid of plaque. Plaque that is not removed can harden and form “tartar” that brushing doesn’t clean. Only a professional cleaning by a dentist or dental hygienist can remove tartar. The longer plaque and tartar are on teeth, the more harmful they become. The bacteria cause inflammation of the gums that is called “gingivitis.” In gingivitis, the gums become red, swollen and can bleed easily. Gingivitis is a mild form of gum disease that can usually be reversed with daily brushing and flossing, and regular cleaning by a dentist or dental hygienist. When gingivitis is not treated, it can advance to “periodontitis” (which means “inflammation around the tooth”). In periodontitis, gums pull away from the teeth and form spaces (called “pockets”) that become infected. The teeth may eventually loosen and have to be removed. The only way to completely cure gum disease is to seek dental treatment. However, to control symptoms and reduce the chances of gum disease advancing, there are things you can do at home. The first step is the easiest – oral hygiene. Make certain you brush and floss at least twice a day, for at least two minutes each time. This helps reduce the amount of plaque buildup on your teeth. Rinse your mouth with a mouthwash that’s used to treat gingivitis. Finally, avoid sugary foods and drinks, as well as tobacco products. Professional dental cleaning. During a checkup your dentist or dental hygienist will remove the plaque and tartar from above and below the gum line of all teeth. If you have signs of gum disease, your dentist may recommend professional dental cleaning more often than every six months. Dental cleanings do not treat active gum disease, rather they are an important preventive measure that can help you stave off its development. Scaling and root planing. This deep-cleaning, nonsurgical procedure is performed under a local anaesthetic (or none at all). Plaque and tartar from above and below the gum line are scraped away (scaling) and rough spots on the tooth root are smoothed (planing). Smoothing the rough spots removes bacteria and provides a clean surface for the gums to reattach to the teeth. Flap surgery/pocket reduction surgery. During this procedure the gums are lifted back and the tartar is removed. In some cases, irregular surfaces of the damaged bone are smoothed. The gums are then placed so that the tissue fits snugly around the tooth. Bone grafts. This procedure involves using pieces of your own bone, synthetic bone, or donated bone to replace bone lost to gum disease. The grafts become a platform for the regrowth of bone, which restores the foundation of your teeth. Soft tissue grafts. This procedure reinforces thin gums or fills in places where gums have receded. Grafted tissue, most often taken from the roof of the mouth, is stitched in place, adding tissue to the affected area. Guided tissue regeneration. Performed in combination with flap surgery, a small piece of mesh-like fabric is placed between the bone and gum tissue to keep gum tissue from invading the area where bone should be. This helps the bone and connective tissue to regrow to better support the teeth. Bone surgery. Following flap surgery, the bone around the tooth is reshaped to decrease the pockets. This makes it harder for bacteria to collect and grow. Warner Lakes Dental wants your visit to be the quickest and most convenient dental experience possible! From parking to treatment, we try to make the entire process as simple and painless as possible! If you have gum disease, or any other dental condition, Warner Lakes Dental is your trusted dentist in Warner Lakes. 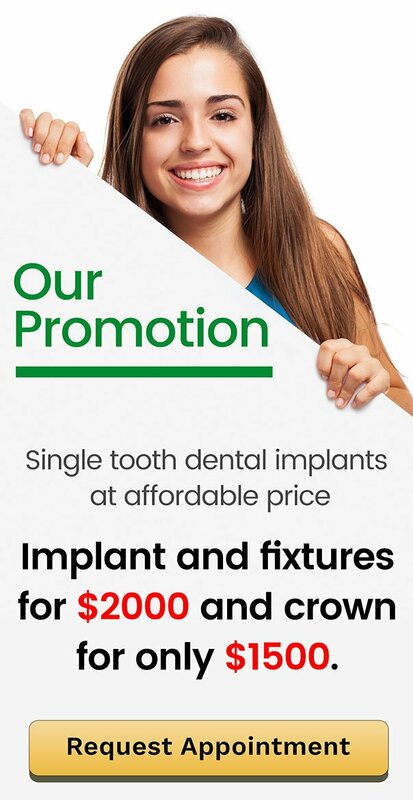 Call us at (07) 3448 0162 or request your appointment online today!